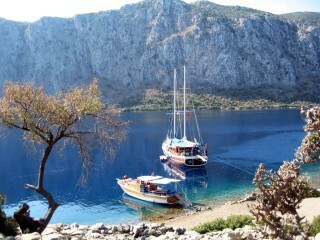 Are you ready for a maybe the most relaxing & refreshing Private Gulet Holidays with families and friends? The Arcadia Yachting is at your service with its wide selection of gulets of best samples of their respective categories for your 2019 summer season Private Yacht Charter plans. While another wonderful Private Gulet Charter season is about to begin choose your standard, superior or luxury class gulet and make a step towards memorable sailing holiday along Turkish coast and Greek Islands. If you are dreaming of planning a Private Gulet Charter that you will share with loved ones and taste the freedom of controlling your holiday, please find the best alternatives from "our fleet" section. Our distinguished portfolio of traditional Turkish gulets ranges from standard, superior to luxury gulets including some super-yachts (mega-gulets) for a Luxury Holidays along Turkish Coast and Greek Islands. A unique way to discover all beauties of the sea and archaeological treasures of the Mediterranean and Aegean coast with the Dodecanese and Cyclades island group of Greece. History, philosophy, famous personalities who have popularized the Blue Cruises, which have become one of the most popular and safe Private Yacht Charter Turkey holiday can be found in our ‘Blue Cruises’ section. Are you planning to cruise along the Aegean and Mediterranean shores or would you rather sail to the Greek islands? It is also possible to combine Aegean coasts with Greek islands for unique Blue Cruises experiences during your Private Gulet Charter Holiday. Please visit our “Itineraries” section for more information and take advantage of our rich selection of itineraries. What variety of a Private Yacht Charter Holiday do you envisage to have? Are you after an active and relaxing Turkish cruise holiday or are you planning to discover archaeological riches? Answers to such questions may be found in our “Cruise Styles” section. If you are looking over 40 m+ luxury yachts, mega gulets please explore first the gulets; Carpe Diem IV, Carpe Diem V, Kaya Guneri V, Nialanca, Perla Del Mare and Regina for your intension. These gulets are offering more space in the cabins, in the outside dining area and on the foredeck for sunbathing. They are also reach in terms of water sport facilities onboard. 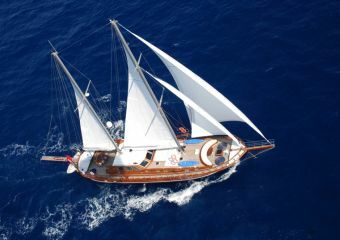 How would you like the professionals to organize an unforgettable Luxury Gulet Holidays for you?. As is our principle, Arcadia Yachting is ready to serve you with top level professionalism in the next gulet charter season with the new special gulets added to its charter fleet after a meticulous selection process applied to All Gulets. We have categorized each of the most exclusive gulets into ‘Standard’, ‘Superior’ and ‘Luxury’ classes according to their specifications and suitability for a truly unforgettable Private Yacht Charter Holiday. 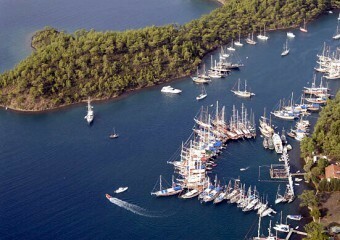 What we have at stake in contrast is our expertise of over 20 years in Turkey Private Gulet Charter industry. Visit our portfolio and browse through the best alternatives for your Blue Cruise. Blue Voyages (Blue Cruises) are a popular sailing experience which has a unique position amongst other sea borne cruising types and its popularity is increasing day by day. What makes Blue Voyage a unique Cruise are the unrivaled coves and inlets nestled along the shores of the Mediterranean and the Aegean seas, tranquil nature and the easily accessible remnants of antique settlements scattered along the shore line and of course the Our gulets you use when savoring this superb cruise... In short, many sea lovers with different expectations will find what they have been looking for in a gulet cruise in Turkiye. Please see our special gulet portfolio to take advantage of our rich selection and our guest for providing the best professional service. The long shoreline extending from Antalya to Canakkale allows for such cruises. The most popular routes are within the vicinity of Bodrum-Antalya shoreline. The coves closer to Bodrum and the region stand out for the superb, untouched nature and partial archaeological density. Further South, one finds, along with the natural wonders, many archaeological sites from the bygone. Our “itinerary” section is designed to provide you with an idea regarding what an Aegean Private Gulet Charter is and to make comparisons. Indeed, client requests are utmost important in making the best program. The Dodecanese and Cycladic Greek island groups closer to Turkish shoreline have become most preferred part of the holiday routes and often combined in the Private Gulet Cruise itinerary. The Dodecanese islands scattered along the Turkish shoreline are suitable for one-week cruises. However, the Cycladic islands may best be covered in Blue Voyages of 10 days or longer duration. For those who wish to experience best of both worlds, Turkish shore itinerary may be combined to cover the Greek islands as well. Please see our “itinerary” pages for such combined routes. Private Yacht Charter Turkey holidays nowadays are designed to cover visits to thousands of years old antique settlements, trekking on land, scuba diving , windsurfing, water skiing and canoeing, cayago or Jet Skiing luxury water activities in addition to the traditional Blue Cruise Holidays which once meant such attractions as the sea, the sun , the magnificent coves and swimming. "Custom designed Blue Cruises (Blue Voyages), Yacht Charter Turkey Cruise Tours and Greek Isles Sailing"